Can you believe August is coming to an end? Is this really August weather? Definitely makes you want to be outside and enjoy every moment. 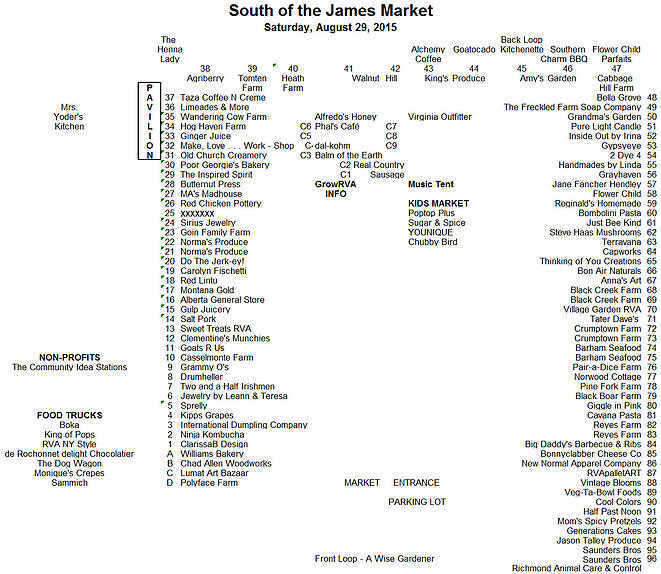 Even though the year is moving along quickly, the choices of great vegetables, produce and more is in full abundance at the South of the James Market. Saturday, 8-12, will be no different and we have a great lineup for you. Looking for a treat? They will have Apple Cider this weekend. This will be their last weekend for Honey Crisp and peaches. 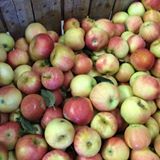 They will have fresh picked Fuji apples…delicious! They won’t return until September 12th, so make sure you stock up. 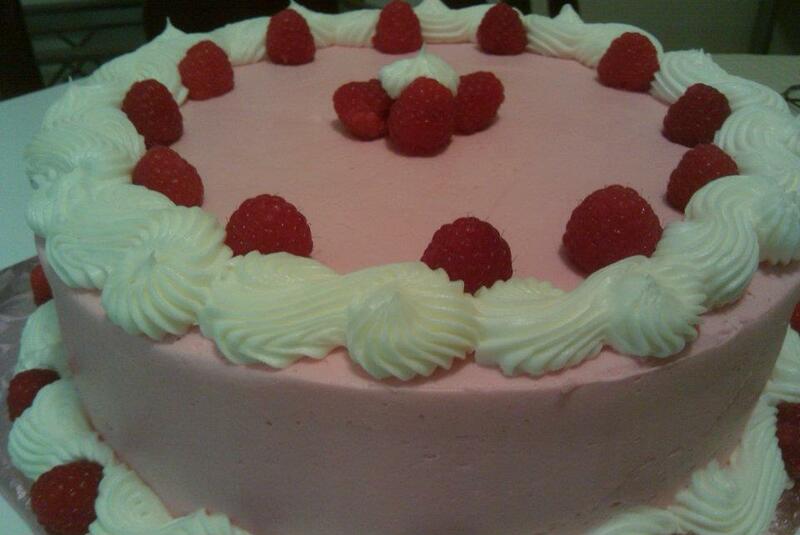 Poor Georgie’s Bake Shoppe has Tuxedo Cake and Raspberry Butter Cake, all in a convenient cup for all to enjoy while browsing or to take home. Oatmeal Cream Pies, Whoopie Pies, Cookies and Key Lime Pie slices available as well. 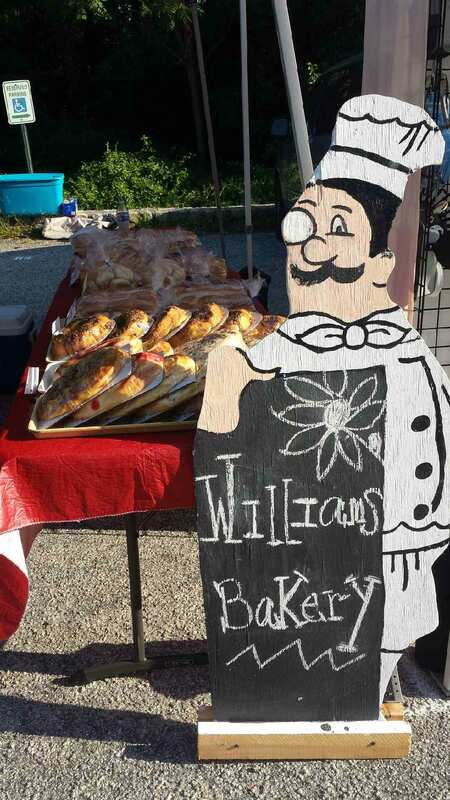 This is the last week Williams Bakery will participate in the market for this year, since they are heading into their busiest season. They are offering customers visiting the booth $1.00 off all pies. And, as a thank you to all their patrons, they will be passing out coupons to use in one of three stores for $2.00 off a purchase of $10 or more. They look forward to being back at the market in the Spring and hope to serve you from their stores until then. Check out our vendor locations (click here for a printable copy).